Voting members of the Mormon Transhumanist Association have amended its constitution to extend the Mormon Transhumanist Affirmation. 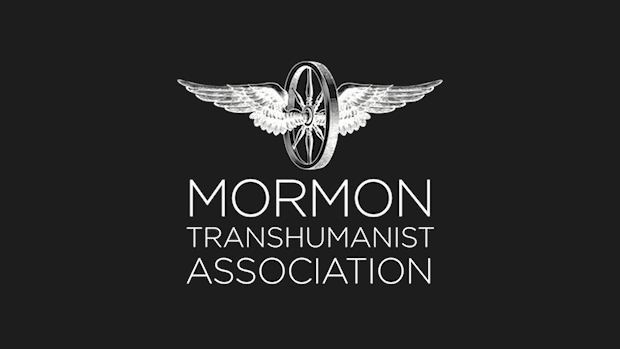 Together, the Transhumanist Declaration and the Mormon Transhumanist Affirmation define the purpose of the association. 1) We are disciples of the Gospel of Jesus Christ, which is to trust in, change toward, and fully immerse our bodies and minds in the role of Christ, to become compassionate creators as exemplified and invited by Jesus. 2) We understand the Gospel to be compatible with and complementary to many religions and philosophies, particularly those that provoke strenuous pursuit of compassionate and creative exaltation. 3) We seek the spiritual and physical exaltation of individuals and their anatomies, as well as communities and their environments, according to their wills, desires, and laws, to the extent they are not oppressive. 4) We believe that scientific knowledge and technological power are among the means ordained of God to enable such exaltation, including realization of diverse prophetic visions of transfiguration, immortality, resurrection, renewal of this world, and the discovery and creation of worlds without end. 5) We feel a duty to use science and technology according to wisdom and inspiration, to identify and prepare for risks and responsibilities associated with future advances, and to persuade others to do likewise. 6) We practice our discipleship when we offer friendship, that all may be many in one; when we receive truth, let it come from whence it may; and when we send relief, consolation and healing, that raises each other together. Any change to the association constitution requires the support of an absolute super majority of voting members. This high bar means, in practice, that change to the constitution is likely to happen rarely. So far, in the history of the association, the constitution has changed only once before. In 2010, voting members approved an amendment to simplify the director election process, to adopt an updated version of the Transhumanist Declaration, and to make association affiliations with other organizations optional rather than mandatory. The constitution requires all members of the association, both basic and voting, to support the Transhumanist Declaration and the Mormon Transhumanist Affirmation. The association does not rigidly enforce any particular interpretation of these statements. Nor does the association enforce narrow understandings of "support". A person may be a member of the association in good standing while sincerely holding to an interpretation of the statements that differs from that of another member, or while not fully agreeing or even constructively disagreeing with parts of these statements, so long as that member supports the Declaration and Affirmation on the whole. 1) Humanity stands to be profoundly affected by science and technology in the future. We envision the possibility of broadening human potential by overcoming aging, cognitive shortcomings, involuntary suffering, and our confinement to planet Earth. 2) We believe that humanity’s potential is still mostly unrealized. There are possible scenarios that lead to wonderful and exceedingly worthwhile enhanced human conditions. 3) We recognize that humanity faces serious risks, especially from the misuse of new technologies. There are possible realistic scenarios that lead to the loss of most, or even all, of what we hold valuable. Some of these scenarios are drastic, others are subtle. Although all progress is change, not all change is progress. 4) Research effort needs to be invested into understanding these prospects. We need to carefully deliberate how best to reduce risks and expedite beneficial applications. We also need forums where people can constructively discuss what should be done, and a social order where responsible decisions can be implemented. 5) Reduction of existential risks, and development of means for the preservation of life and health, the alleviation of grave suffering, and the improvement of human foresight and wisdom should be pursued as urgent priorities, and heavily funded. 6) Policymaking ought to be guided by responsible and inclusive moral vision, taking seriously both opportunities and risks, respecting autonomy and individual rights, and showing solidarity with and concern for the interests and dignity of all people around the globe. We must also consider our moral responsibilities towards generations that will exist in the future. 7) We advocate the well-being of all sentience, including humans, non-human animals, and any future artificial intellects, modified life forms, or other intelligences to which technological and scientific advance may give rise. 8) We favour allowing individuals wide personal choice over how they enable their lives. This includes use of techniques that may be developed to assist memory, concentration, and mental energy; life extension therapies; reproductive choice technologies; cryonics procedures; and many other possible human modification and enhancement technologies. 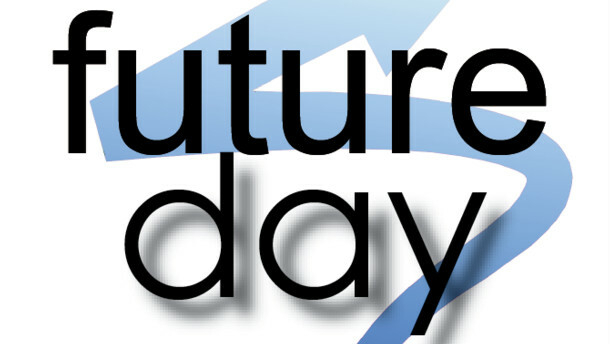 Future Day is 1 March, and the Mormon Transhumanist Association invites you to join us for lunch and casual conversation about the future at Costa Vida (1621 N State) in Orem, Utah, at 11:45am on 1 March 2016. Bring your friends and family, and of course your thoughts and questions about the ethical use of technology and religion to extend human abilities. Holidays provide a fantastic way of channeling peoples’ attention and energy. Most of our holidays are focused on past events or individuals, or on the rhythms of nature. History and nature are wonderful and should be honored — but the amazing future we are building together should be honored as well. Future Day is a way of focusing and celebrating the energy that more and more people around the world are directing toward creating a radically better future. This is a brand new holiday — the first Future Day was in 2012. This year on March 1st Future Day will be even better! Let us all work together to continue to make Future Day a great success! Click here to learn more about Future Day. Ten years ago, fourteen of us founded this association: Andrew West, Brent Allsop, Cameron Dayton, Carl Youngblood, Cherie West, Chris Bradford, Cory Funk, Gary Parker, Joseph West, Karl Hale, Leonard Reil, Lincoln Cannon, Marcus Flinders, and Martin Wood. Although we hear from some of these founders more often than others, all remain members of the association today. Since that time, the association has grown to 574 members. I believe that makes us the largest formal organization of religious Transhumanists in the world -- and in human history, for that matter. More importantly, though, our association has also become a sanctuary for the religious Transhumanist. Mormon and otherwise, we are an uncommon type (so far). That can be lonely. It has been lonely, as frequently expressed by new members when they discover us. But our association changes that. Many have contributed substantial time and resources to make this happen. Of particular note are those who have served us as board members and managers: Andrew West, Blaire Ostler, Brad Levin, Brent Allsop, Bryant Smith, Carl Youngblood, Chris Bradford, Cory Funk, David Foster, Don Bradley, Dorothy Deasy, James Carroll, Joseph West, Karl Hale, Leonard Reil, Lincoln Cannon, Marcus Flinders, Michael Ferguson, and Nathan Hadfield. They have my gratitude, and I know from abundant feedback that they also have the gratitude of other members of our association. Ten years ago, I accepted an appointment from our board to serve as president of the association. I have acted in that capacity since that time. And I believe I have done so in a manner that has generally represented us well. Hopefully you will agree, as you look through this annual report, which shares recent opportunities I've had to present some of our ideas and aspirations to large audiences. Among the challenges presented to leaders of new organizations is that of establishing helpful precedents. Patterns and traditions can be hard to change, for better or worse. With that in mind, I have increasingly felt that the time has come, or perhaps is past due, to establish a leadership change precedent. I have notified the board that I am retiring from my appointment as president. They and I have been working together on a transition plan for several months. And, in accordance with the process outlined in our constitution, we will appoint a new president in March. Afterwards, I will continue to serve on the board, as elected by voting members. While I admit to some sadness, this is truly an exciting opportunity for our association. Transhumanists, better than most, know that change is essential to progress. Religious Transhumanists, better than most, know that change is too often most strongly resisted when and where it's needed most. Thank you, as sincerely as I can express in writing, for your support and friendship over the years. Like many of you, I need this association as my sanctuary. You have made it that for me. And whether we will live forever or die trying, I see Christ in you.